This lakeside resort has 12 cabins, each uniquely different in its own way. This location is perfect. Babbitt is only 2 passages away from the Boundary Waters Canoe Area. This resort offers free guided hikes on the Kawishiwi Falls Trail. Experience waterfalls, nearby Fall Lake beach, pack a picnic basket, and explore with all of your senses. 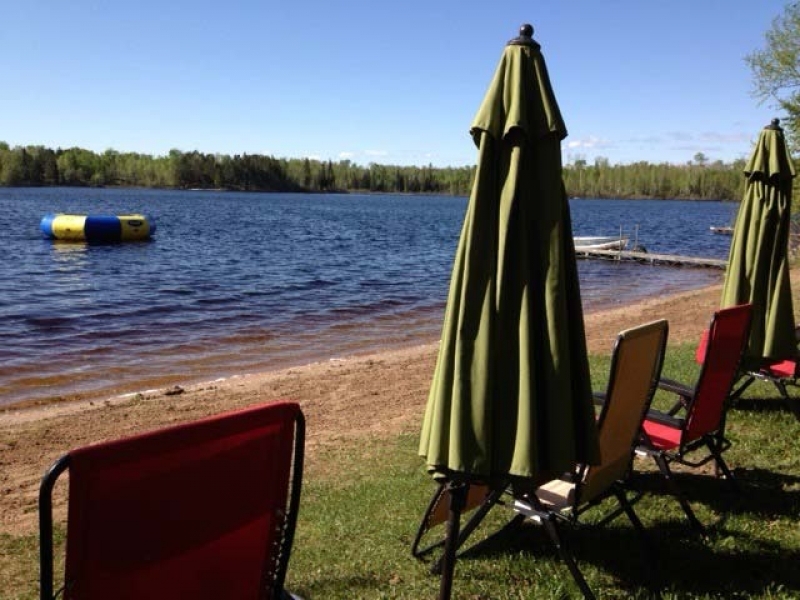 Timber Wolf Lodge has a sandy beach with 7 cabins right on the beach with a private dock. Bear Island Lake is a large 2,360 acre lake that stretches over 22 islands. The resort has a sunset cruise that even lets you observe these islands. They also have a 15’ water trampoline (kids love it)! Parents can rest in the lounge chairs under an umbrella right on the beach! These cabins are not bare or rustic. Most cabins are updated to the newest features (like a Keurig) and most even have warm glowing fireplaces in them with great lake views. The best feature? The Sleep Number beds and even luxurious sheets. Each cabin has a great sundeck, perfect for morning coffee or late night card playing. 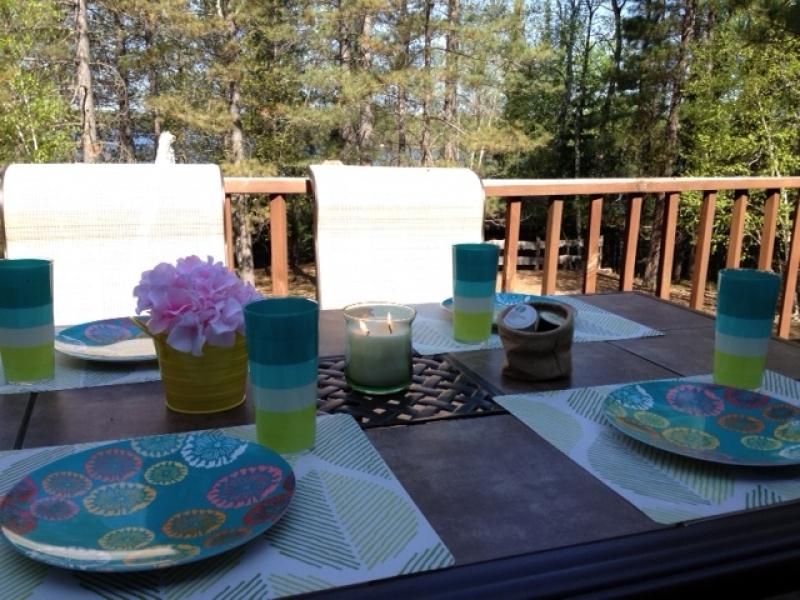 Make sure you ask about the ones with the 3 season porches-a Minnesota must! Here is a little secret if you’re still reading this: A lot of guests mail checks to use weekly or monthly as sort of a “vacation savings account”. Many families find that this is an effective way to set aside their vacation money bit-by-bit. We’ve all felt the pinch of a tough economy and the need to tighten our belts. Use this tool if it helps your family budget. The cabins are fully equipped and furnished with the exception of bath towels, kitchen towels and wash cloths. Please bring those items from home. We provide all bedroom linens including pillows and cases. Even the fire pit has a stocked wooden supply. Perfect for squeezing in one more kid in the car with all that extra room. The sauna, shower house and private beach. You may just be one of our guests that insist on stoking the sauna to inhuman temperatures and then dashing to the end of a nearby dock for a plunge in Bear Island Lake. Parents who want to shower off the kiddos after a day at the beach will like the convenience of our shower house. There is plenty of room in there for a quick change of clothes too. Local attractions are a must see for Minnesota. The International Wolf Center and North American Bear Association are near. Some adventurers even cliff dive! Enjoy the guided fishing tours in one of Minnesota’s Boundary waters. Babbitt, Minnesota hosts tons of activities for teenagers. Enjoy the library, Youth Center and indoor ice arena. And for those that can’t simply live without Wi-Fi, you can get it at the beach house and beach. Perfect for catching up on emails. For more information on this unique Boundary Waters lakeside resort, head to http://www.rentminnesotacabins.com/location.php?id=Babbitt and select from one of the listings to inquire more, get rates, and view more photos and videos. This entry was posted in Cabin Vacation, Minnesota Vacation and tagged Cabin Vacation, Lakeside Resort, Minnesota, up north. Bookmark the permalink.